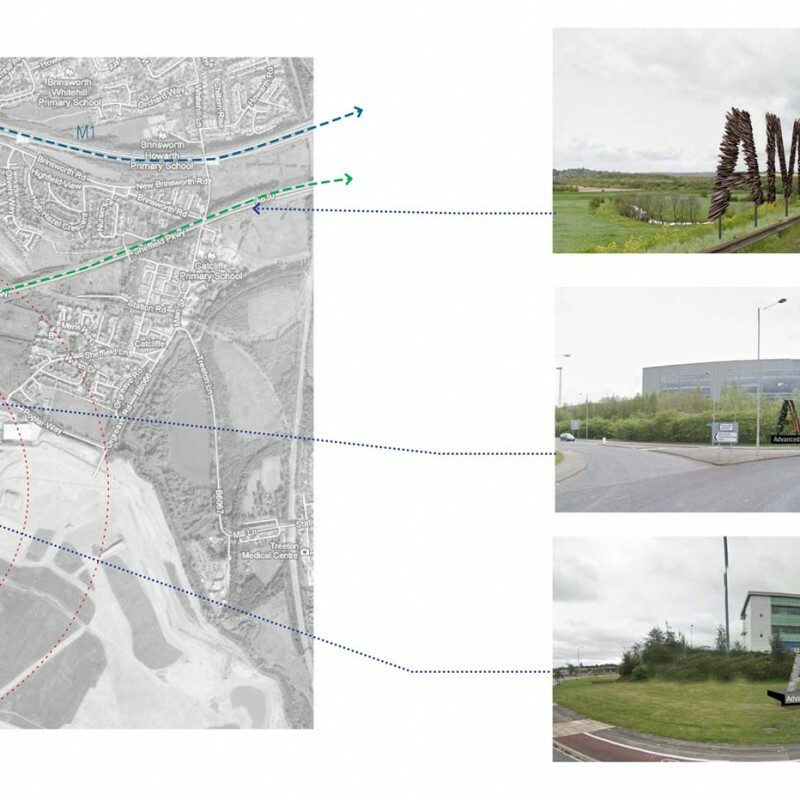 Commissioned by the Homes and Communities Agency, this study sought to re-imagine the Advanced Manufacturing Park Technology Centre (AMPTC) building, and its physical relationship with the wider park in which it sits. Located on the border of Sheffield and Rotherham, The Advanced Manufacturing Park (AMP) is a concentration of some of the UK’s most innovative engineering, manufacturing and research enterprises. The Technology Centre is the only publicly accessible building in the business park landscape, and therefore the best place for visitors to gain information about the AMP’s function. Re-imagining the building and its surroundings could enhance this ‘front door’ role and provide a more outward-looking facility. In turn, this supports the AMP and its partners to connect with a wider audience and represent the city to European and worldwide industry. The proposals could enable the AMP and partners to connect with a wider audience, representing the city to European and global industries. An engagement event with a hugely knowledgable building user-group revealed how the building could be developed to provide a base that better supported their own interests, as well as those of the Technology Centre and the Advanced Manufacturing Park as a whole. This provided a starting point for a series of sketch proposals to improve the building and its environs, raise the profile of the centre and crucially promote a forward looking and sustainable future image for the AMPTC. Our proposals focus on bold signage for the approach to the park, reflecting its future engineering mission and improving connectivity across the complex. Consistent, futuristic signage and landscaping surrounding the Technology Centre enhances the external presence of the AMPTC building. Architectural changes to the façade and inside the building focus on the entranceway and café, further promoting the dynamic and ‘high tech’ image to visitors.